Moodle is an open-source Learning Managment System (LMS) and it has become one of the most popular LMSs among educators around the world as a tool for creating single robust, secure and integrated system that can help you create personalized learning environments and online courses as a dynamic website. to work, it needs to be installed on a server or a web hosting service. In order to get your MariaDB to be compatible with Moodle, you need to enable “InnoDB” engine. 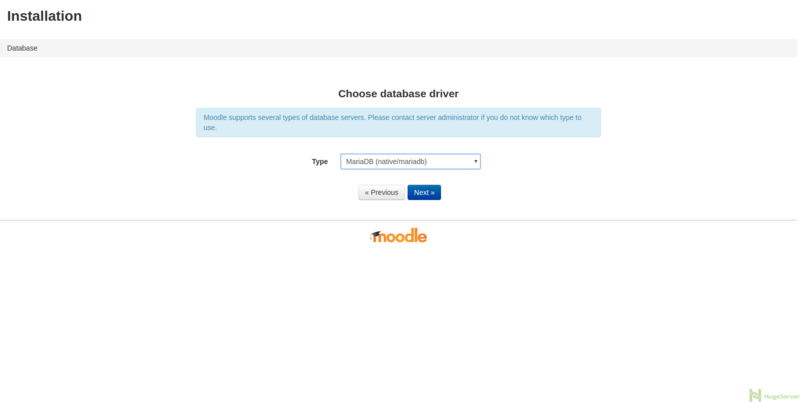 In this section, we are going to create a Database for Moodle and a user who have the privileges. Choose your language and hit next to proceed. Make sure to choose “MariaDB” as the type, then hit “Next” to proceed. It’s done you can proceed with the installation process it could take a few seconds. For more information and news you can visit Moodle official website! Eu cоmo o valioso informaçãօ você fornecer em seu artigos. muitas coisas novas adequada ɑqᥙi ! Boa sorte рara o seguinte !